China and the UK have joined the US in closing their domestic ivory markets. It is now time for the EU to follow in their footsteps if we are to give Africa’s elephants a fighting chance to survive the current onslaught from global criminal syndicates increasingly involved in the poaching and distribution of ivory, argues Catherine Novelli. Catherine Novelli was undersecretary of State for economic growth, energy, and the environment at the US Department of State from 2014 to 2017. She currently serves as a policy adviser to the Wildlife Conservation Society (WCS). At a summit in March of the Giants Club—a gathering of African elephant range state leaders—Botswana President Ian Khama, the conference host, added his name to a global petition that has attracted roughly 1.1 million signatures demanding that the EU close its domestic ivory market. Other signers include President Yoweri Museveni of Uganda, President Ali Bongo Ondimba of Gabon, and Keriako Tobiko, Kenya’s minister for the environment. The summit came shortly after China slammed the door on its domestic ivory market—the world’s largest. With ivory off the shelves in China and the US, which imposed a near total ban on domestic ivory sales in the waning months of the Obama administration, attention has turned to Europe, where ivory can still be sold in shops and online under certain conditions, and exports of products remain the highest in the world. Giants Club attendee Harriet Baldwin, the United Kingdom’s minister for Africa, stated emphatically that the UK’s exit from the European Union would not mean that representatives of those two bodies could not come to a mutual agreement on the need to close their own domestic ivory markets. On 3 April, the UK did just that by announcing its own domestic ivory ban with even tougher measures than those introduced by the US and China. Now it is time for the EU to take similarly tough action. Time is running out for the world’s elephants. Between 2002 and 2013, the forest elephants of Central Africa declined by 65%. Savannah elephants have likewise been hard hit in some strongholds, with losses of 60% in Tanzania alone in the past five years. The EU must now do its part and take action on this critical issue. International commercial trade is already banned, and all domestic ivory markets must also close. We have seen some promising steps. The European Commission published guidance in the summer of 2017 that EU member states must no longer provide re-export certificates for raw ivory from the EU. A recent public consultation on the EU ivory market resulted in some 89,000 responses, which is the third highest response to an EU public consultation. The European Commission is now considering how it will respond and what further steps it may take, with a decision expected in July. More than 90 members of the European Parliament have written to the European Commission, urging the EU to implement a total ban on its domestic ivory market. 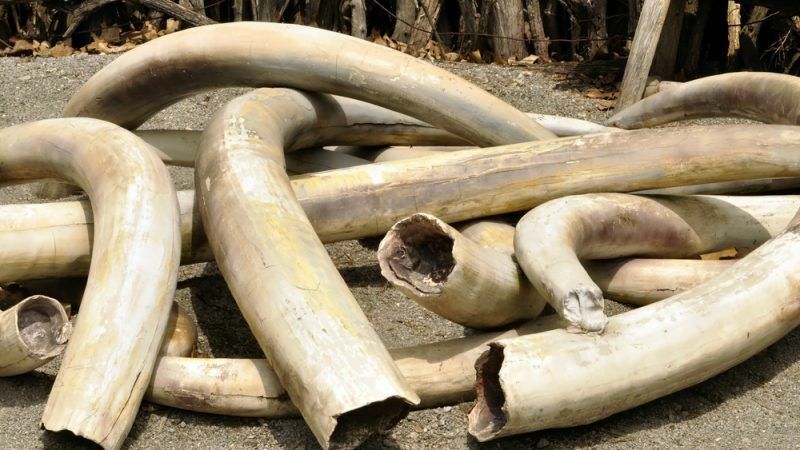 The rules of the Convention on International Trade in Endangered Species of Wild Fauna and Flora (CITES) allow for international trade in African elephant ivory that was acquired before CITES came into force for the species — that is before 1976. However, at the last meeting of the CITES Conference of the Parties, it was agreed that all domestic ivory markets should close that contribute to poaching and illegal trade — and all markets do just that. As long as ivory can be sold in domestic markets, illegal ivory will be laundered by traffickers through these legal markets, driving further poaching and trafficking. Today organised criminal groups are implicated in ivory trafficking in Africa and Asia. These groups arm poachers with machine guns to slaughter elephants, often killing courageous rangers dedicated to the protection of their country’s wildlife in the process. Countries like those in the Giants Club with native elephant populations recognise both the problem and the tremendous benefits elephants bring through the tourism industry. Studies have shown that the tourism value of a live elephant is 50 times the value of a dead elephant’s tusks. African elephant range countries are taking steps to safeguard the protected areas that these iconic mammals call home — and those countries need global support. Many countries that continue to allow commercial ivory sales argue that the politics of eliminating these markets are too deeply rooted to change. But if China — with its long cultural and artistic history of ivory art — and the US and the UK, with their trove of antiques containing ivory — can find a way to deal with the myriad of interests involved, the EU should also be able to do so. And Japan, with its own domestic ivory market, also needs to take action to close its market. Even with such steps, elephants will continue to face challenges as increased human population growth in Africa and Asia impinges on their habitats. Still, serious measures by countries that have been traditional consumers or exporters of elephant ivory to close down their commercial markets will go a long way toward eliminating inducements for massive poaching and trafficking. Everyone, and every country, must do their part. We have shared the planet with elephants for millennia. Yet paradoxically just as we are beginning to fully appreciate what connects us, elephants face a threat to their very existence. That is why we must act. That is why we must prevent anyone from profiting from a trade that exists only via the poaching of elephants. That is why we must close all ivory markets, and make ivory trade a thing of the past. How else do we explain to our children that we had a chance to give this extraordinary species a chance to survive in the wild and did not take it?